Fishtail Cottage: Second Saturdayz Buffet has found a home! " Second Saturdayz Buffet has found a home! The Master Suite is now the host to this gorgeous buffet table! I adore the beauty & wonder of the history of this piece. It also holds some of my most favorite items that I have recently found at local flea markets and some of my favorite shops! Recognize any of your favorites from past posts? I'm liking the white ~ simple and rustic at the same time. So pretty! You are one talented lady. Hey, just wanted to let you know that I am sponsoring a RAMSIGN giveaway over here at Lakeshore Cottage and I think it would look great on your arbor/gate! Come on over and throw your name in the hat! Just perfect!!! I am looking for a buffet for our home (it's a fixer & we just moved), but I know it's gonna be awhile before I find items that are just right! lol Anyway, love how you will have a place for all your fave flea market finds! :) Enjoy! Tracie, I love the table and it's new home. It looks beautiful! and the georgous mirror looks perfect on it too! Oh, what a beauty this is!! Gorgeous! What a beautiful piece! I love all of the white, it's just so calming. Love all of your touches, too. Tracie I love your find :) it all looks so euro flea market divine! I see the little cage has found its perfect place to draw you in to take a closer look, I think its little book card swing is hanging a bit crooked :) The birds must be swinging for joy with all the beauty I know I sure am! You have come a long way baby from our very first emails on design ideas, you just blow me away with all that you have created over here in your sanctuary place of shelter. Tracie, your buffet looks fantastic! Where did you find the Jeanne D'Arc magazine? I cannot find it anywhere. No one has ever heard of it! come on over where i've got a giveaway. It's a beautiful piece! I love all the white on white. Darling! Oh how I am loving all this white!! I have a sweet gilded bird like that which I adore. Oh how pretty! Michelle's piece looks wonderful atop it! Have a nice day! You must have been thrilled to find this piece. It's just beautiful an dyou did a great job! 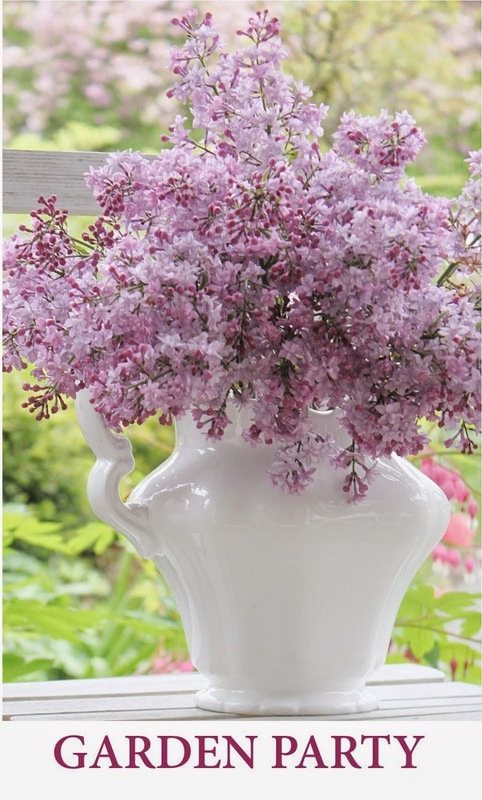 Thanks for linking to Potpourri Friday. I appreciate your participation! Oh my goodness.....that buffet is absolutely beautiful, Tracie! Look at those legs! Wish mine looked that good! lol! It is very good post nice and must be admitted one of best blog. thanks for sharing. Hi – I am so delighted I found your blog, I really found you by accident, while I was researching on Digg for something else. Nonetheless I am here now and would just like to thanks for a fantastic post and an all round interesting blog (I also love the theme/design). 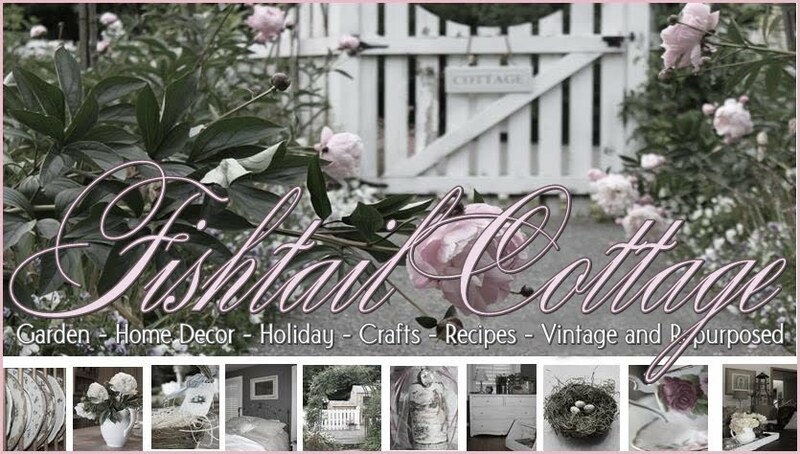 Would you like advertise on Fishtail Cottage's blog? Would you like to do a giveaway? Just contact me at tracie.fish@live.com for more information.